Here is the most famous wine of Saint Emilion in its vintage 2010! Does he keep his promises? Without raising the suspense any more, the answer is yes! Château Cheval Blanc 2010 is the result of a simple blending of two grape varieties: Cabernet Franc (54%) and Merlot (46%). The Château Cheval Blanc 2010 exhibits a deep dark garnet colour. On the nose, it distils a classic but complex bouquet of ripe red fruits, raspberry and blackcurrant, mixed with woody notes and a touch of mint. After a short aeration, notes of roses and violets spring out of the glass to complete a bouquet already rich in subtleties. 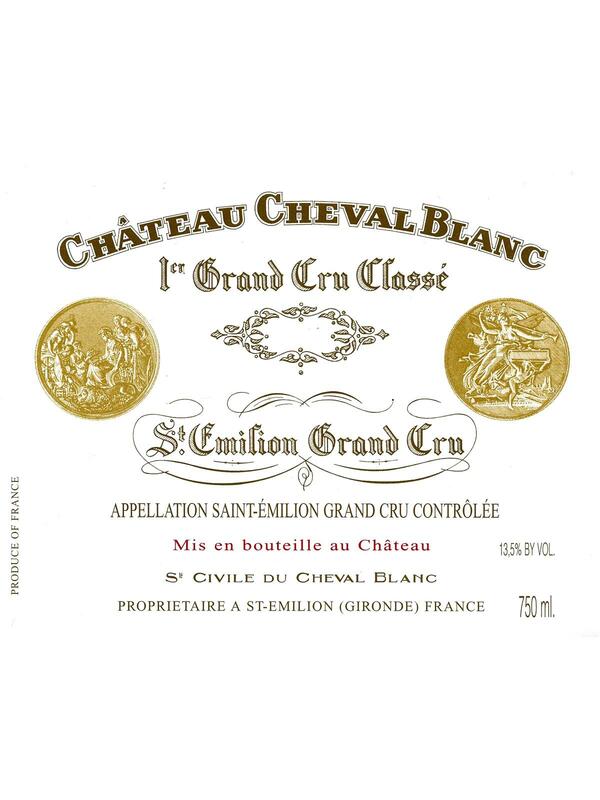 On the palate, the Château Cheval Blanc 2010 is even more massive than usual. The attack is soft and supple, the tannins, worked with care, are like a silky texture. The mouth is full of fruit and woody notes. The final seems to be endless. The menthol hint on the nose, comes back, bringing a great freshness to the whole. Vintage after vintage, Château Cheval Blanc is a perfect wine. And more than that, he offers us yet again a monument of wine! Tasting tip: the Chaval Blanc 2010 is enough for itself!